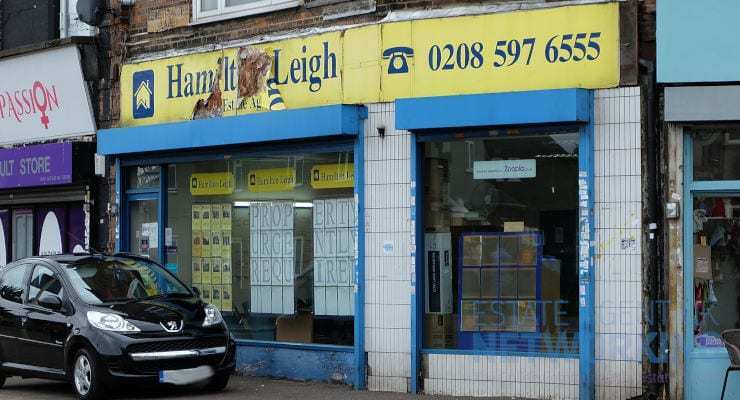 High street estate / letting agents need to fully take advantage of their shop fronts which are a 24/7 marketing tool and certainly a key advantage over the modern day online agent. The costs to be present on the high street needs to be fully exploited and one of the main perks is the window display area that will be the attraction point. I recently took a walk along a couple of the main streets in my local town centre of Colchester that holds the majority of estate agents to study what the current trend is. Surprisingly the majority will still rely on the more traditional format of property details in the window in varying quality of display systems from basic window poster sleeves to eye catching ceiling to floor cable display units. Some incorporated simple LCD screens in the windows showcasing the latest listings (a couple had error messages on) whereas other agents concentrated more on the likes of advertising finance such as mortgages. Lighting is of importance that around half had invested in so that not only daytime, but also evening time windows displays were clear to view and engaging passerby’s. The usage of LED Light Panels were frequent and in most costs really gave the agency a quality feel to their brand even if they were more concentrating on the lower to mid end of the market. Many window displays had an awash of stickers such as OnTheMarket / Zoopla / NAEA whereas other more higher end agencies were very much focused on the minimalist approach ie Chewton Rose and fine and Country. I noticed no interactive displays neither any other strokes of innovation. To be honest, many seemed that they were signing from the same hymn sheet in the way they showcased themselves. Signage in nearly all cases were excellent and clean, no missing letters or lights! Most were bright and clear so that if you were looking for them you would be hard to pass them by with noticing.